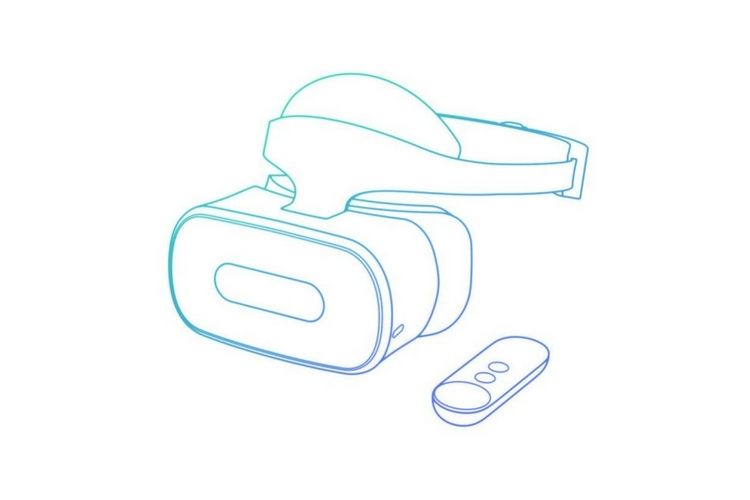 Google announced the expansion of its Daydream VR platform to standalone hardware earlier this year at I/O. Following that, there were reports that Daydream VR headsets will hit markets this year from major OEMs associated with Google. But sadly, there hasn’t been much activity on this front. However now, Lenovo’s standalone VR headset has been spotted at the United States Federal Communications Commission (FCC) detailing a few key specs of the hardware. 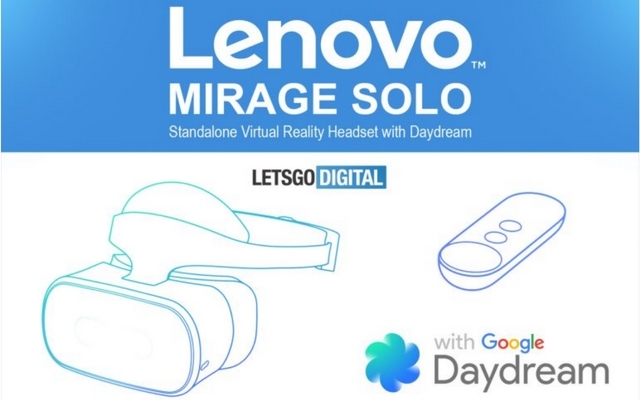 According to the FCC-issued certificate found by LetsGoDigital.org, the version of Lenovo’s VR, called the Mirage Solo, is intended for a stateside release and it will bear the model number VR-1541F. In addition to that, the device is also said to ship with wired earphones featuring a 0.5m cable identified as the CE-1601T. And lastly, all units of the headset will come with support for Bluetooth 5.0 as well. The certification further reveals that the Mirage Solo’s standalone head-mounted display will be equipped with a 4,000mAh battery and charge over a USB cable. The headset is also said to take advantage of third-party memory chips made by either Toshiba or Samsung; however, other hardware details about the headset weren’t revealed by the regulator. Considering the fact that the name “Mirage” has been making rounds on the internet since mid-August, it is expected that the device will make it to the market sooner than later. Speaking of the launch date, it is still unclear when Lenovo and Google intend to unveil the Mirage Solo, but keep your eyes peeled as CES is right around the corner. With that being said, the VR platform as a whole still targets a niche market, with a lot of consumer electronics manufacturers being reluctant to embrace it. However, we do have a few manufacturers extending their support like HTC, who just recently launched its own standalone VR headset called Vive Focus. We’d like to know your thoughts on this. Would you be interested in a standalone VR Headset from Lenovo, or are you waiting for more options before buying? Let us know in the comment section below.